7:00 AM Mar. 18th, 2019 Trish Bolechowsky and Joel Elliot Chris Ronald. Angela Saini. Hopeheals.care with Mitch and Megan. Corin Raymond. All the goodness is here!! 7:00 AM Mar. 11th, 2019 Joel Elliott Joel solo and daylight savings time! 7:00 AM Mar. 4th, 2019 Joel Elliott & Kim Valentine First Monday in March! 7:00 AM Feb. 18th, 2019 Joel Elliott Family Day! To celebrate, Trish left me by myself. :( So I brought in the multi-talented Brad Cutler to help out! 7:00 AM Dec. 24th, 2018 Deck the Airwaves with Clara and Joel! All Xmas music and Xmas music info! 7:00 AM Dec. 10th, 2018 Trish Bolechowsky and Joel Elliott A mostly music Monday! 7:00 AM Oct. 15th, 2018 Trish Bolechowsky and Joel Elliot Jumpin' Joel Flash showcases his new single! Erin Costelo - a chat, new album @ NAC Oct. 20th, catching up with Farm Radio, news about The Gomeshi Effect, a- documentary dance-theatre performance, plus as much music as we can squeeze in! 7:00 AM Oct. 8th, 2018 Trish Bolechowsky & Joel Elliott Thanksgiving Hooray! Sarah Porter joins us in the studio. We chat with Brock Zeman. Music from Carolina Arnoni & Jasen Colson, Jim Bryson, Mark J. Nyvlt, Madeleine Roger and Taylor Angus! 7:00 AM Oct. 1st, 2018 Trish Bolechowsky & Joel Elliott Releases and Conferences and Coffee Oh My! 7:00 AM Sep. 17th, 2018 Trish Bolechowsky and Joel Elliot Kimberly Sunstrum joins us in the studio after 7:30 am. We speak with Sarah Howard after 8 am. Plus music from Mark Fossen, our very own Jumpin' Joel Flash, Melanie Brulée, Mike Plume Band, Grace Marr, Sarah Bradley and Wychwood. 7:00 AM Sep. 10th, 2018 Trish Bolechowsky and Joel Elliot Christine Jakel playing live in the studio, Kelly Symmes on the line about Small Halls, new music from Sarah MacDougall, Tragedy Ann, The Honey Tongues, and music from William Prince, Barney Bentall and Colter Wall. 7:00 AM Sep. 3rd, 2018 Trish Bolechowsky & Joel Elliott Music to enjoy the last day of the long weekend to! 7:00 AM Aug. 20th, 2018 Trish Bolechowsky and Ka Charlton Chat with Danah-Lee, Basil Park live in the studio, music from Cold Tea, Daughter of the Moon, Dan Robidoux, Lew Phillips, The Galpines, Kalle Mattson plus Barnstorm! 7:00 AM Aug. 13th, 2018 Trish Bolechowsky and Joel Elliot Jack Pine joins us after 7:30. We catch TGTG on the road to hear about their nomadic lifestyle and their music. New music from Tragedy Ann, Kimberly Sunstrum, Marla & David Celia, Allison Brown plus a tune from Anthony Toner. 7:00 AM Aug. 6th, 2018 Joel Elliott Jumpin' Joel Solo Long Weekend Monday Extravaganza! 7:00 AM Jul. 2nd, 2018 Joel Elliott Long Weekend Leading into Bluesfest! What fun! 7:00 AM Jun. 18th, 2018 Trish Bolechowsky and Joel Elliott Ben Kunder with his new album after 7 am, Megan Bonnell after 8 am with her new album. Both @ Black Sheep Inn June 21st. At 7:30 am Kristine St-Pierre & Mike Anderson in the studio, new compilation album, She's Listening, for Ovarian Cancer Canada. 7:00 AM Jun. 4th, 2018 Trish Bolechowsky and Joel Elliot We speak with Marc Audet, Ottawa Gig Posters, after the 8 am news. 7:00 AM May. 28th, 2018 Trish Bolechowsky & Joel Elliott Nickie and Zainab join us in the studio for the inside scoop - SynapCity - 100in1Day. and lots of NEW Music!! 7:00 AM Apr. 23rd, 2018 Trish Bolechowsky and Joel Elliot New album chat with Dana Sipos (Toronto), in-studio music from Braden Foulkes (Ottawa) from his new EP, a phone line chat with Ava Wild who is touring through from Saskatchewan. 7:00 AM Apr. 9th, 2018 Trish Bolechowsky Rosanna Burrill of Hillsburn calls in (Live! on Elgin Monday night), Cody Allen drops by the studio (Pressed Sat. Apr. 14th), then Ken Yates calls in (NAC Sat. Apr. 14th). 7:00 AM Apr. 2nd, 2018 Trish Bolechowsky and Matthew Armitage The Jimmy Tri-Tone band play a live mini concert in the studio starting around 7:30 am. At 8:20 am, a chat with JW Jones about his live album recording April 4th and 5th, to which you can get tickets! 7:00 AM Mar. 5th, 2018 Trish Bolechowsky and Matthew Armitage Interviews with Max Marshall (by phone), Jamieson Mackay (in studio) and Ginny (in studio)!! 7:00 AM Feb. 5th, 2018 Trish Bolechowsky Three fantastic guests! Vicki Brittle on the phone, then Daniel Champagne playing live in the studio, then Terry O'Brien and Mike Giamberardino of Tribe Royal drop by! 7:00 AM Jan. 15th, 2018 Trish Bolechowsky Chat with Ali McCormick - at Irene's Friday. Chat with Sandy Irvin - Folkus Series. Chat with Olga Tkachuk about Food Sharing Ottawa. 7:00 AM Jan. 8th, 2018 Trish Bolechowsky Jumpin' Joel Flash in the studio! Lynne Hanson of The LYNNeS in the studio! Lots of great music! 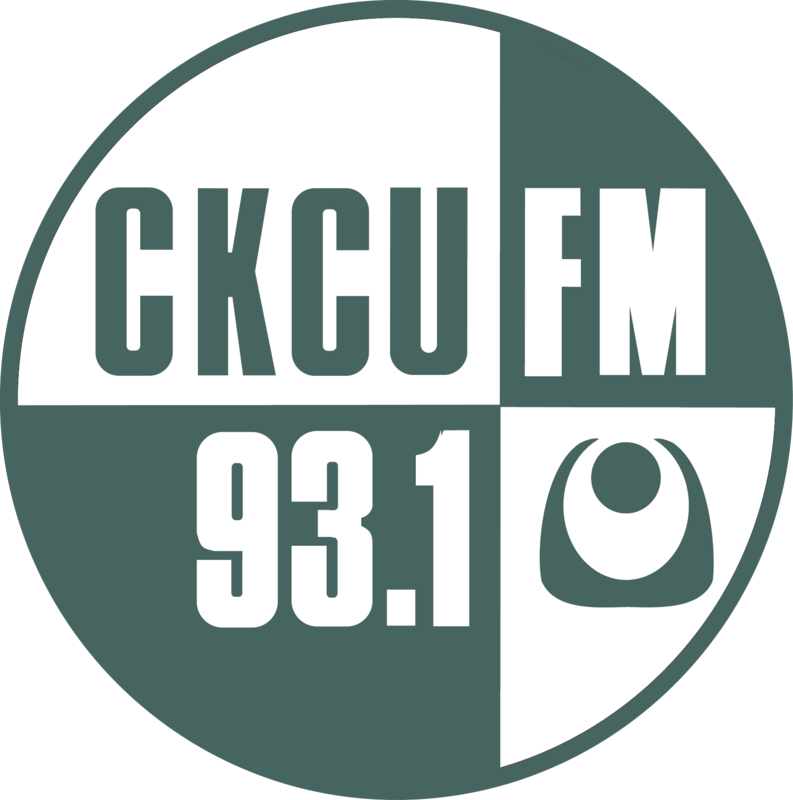 7:00 AM Jan. 1st, 2018 Trish Bolechowsky The Brew on CKCU 2017 in review plus a few shows coming up! 7:00 AM Nov. 27th, 2017 Trish Bolechowsky Jack Pine joins me to launch a powerful new single "The Only Thing", Brian Asselin drops by with news about The Commotions and 'Volume II', then a chat with Winona Wilde about "Wasted Time"
7:00 AM Oct. 23rd, 2017 Trish Bolechowsky and Simon Beach CKCU Funding Drive has begun!! Join us as we welcome guests Little Suns and Harley Alexander for some great live performances! 7:00 AM Oct. 16th, 2017 Trish Bolechowsky and Simon Beach Great new tunes and upcoming show listings in the Ottawa area! Interview with Adam Ferris of local band Galapagos! 7:00 AM Oct. 2nd, 2017 Simon Beach and Trish Bolechowsky A Leverage For Mountains perform live in the studio! Interview with Sarah Slean! 7:00 AM Sep. 25th, 2017 Trish Bolechowsky and Simon Beach Moonfruits drops by then Nik Ives-Allison from OMIC joins us. LOTS of visitors!! 7:00 AM Sep. 18th, 2017 Trish Bolechowsky and Simon Beach Justin Ralph joins us in the studio with his brand new EP "By the Old Railroad". We chat with Krista Hartman plus music by Lindsay Ferguson, Dawn Pritchard and Rachel Stiles. 7:00 AM Sep. 11th, 2017 Trish Bolechowsky and Simon Beach Lesley Demon with MAVNetwork! The Jimmy Tri-Tone Band! The Philosopher Kings! 7:00 AM Sep. 4th, 2017 Trish Bolechowsky and Simon Beach Interview with Shawna Caspi with tunes from her new album, Forest Fire, Outside I'm a Giant join us in the studio for some live music! Interview with Mohammed Omer about the Frank phone. 7:00 AM Jul. 17th, 2017 Trish Bolechowsky and Gareth Auden-Hole Gareth Auden-Hole aka Jack Pine launches the pre-sale for his band's sophomore album live on the radio with three NEW songs! Rory Taillon joins us to play live in the studio! 7:00 AM Jul. 3rd, 2017 Matthew Armitage Chatting with Don Giroux about his upcoming movie. Sugar Still joins us in studio, Trish calls in from the East Coast. 7:00 AM May. 29th, 2017 Matthew Armitage Moonfruits call in to update us on their ongoing tour. We speak to Dean Batstone of Batstone's Northern Ramble and Madison Violet call in to talk about their upcoming show at the blacksheep inn. 7:00 AM May. 15th, 2017 Trish Bolechowsky and Matthew Armitage Ron Mills in the studio! Cynthia Tauro in the studio! Mark J. Nyvlt in the studio! Share the morning with us!! Plus music from Georgian Bay, Chris McLean, Julie Corrigan, Kelly Sloan, The Artichoke Hearts and Hillsburn if we can fit it all in. 7:00 AM Apr. 10th, 2017 Trish Bolechowsky and Matthew Armitage Chat with Paul Stevens of The Lad Classic, Jumpin' Joel Flash joins us in the studio, then Don Fex drops by for a chat! 7:00 AM Mar. 20th, 2017 Mehdi Fallahi The Brew takes a break on Monday, March 20th to make space for a special celebration of the Persian New Year which begins at 6:28 am. Mehdi Fallahi will be your host. 7:00 AM Feb. 20th, 2017 Trish Bolechowsky, Ka Charlton, Matthew Armitage Chats with Murray McLauchlan, Jeff Watkins and Beyond Spain (Alex Harea) in the studio , Andrea Ramolo (of Scarlett Jane) plus lots of great music. 7:00 AM Nov. 21st, 2016 Trish Bolechowsky and Ka Charlton Interview with Jessica Speziale, then Rachel Weldon, then Jeff Logan and then Cody Allen all join us in the studio this morning! 7:00 AM Oct. 31st, 2016 Trish Bolechowsky and Ka Charlton FUNDING DRIVE!! Jamieson Mackay joins us to play live in the studio, we have a chat with Brigitte from Common Holly, music from Old Time Honey, Lynne Hanson, Blue Rodeo, Leonard Cohen, Willie Dunn, Teddy Garcia, and Sara Bareilles and Leslie Odom, Jr..
7:00 AM Oct. 17th, 2016 Trish Bolechowsky and Ka Charlton Julian Taylor Band, Interview with Kaia Kater and Corin Raymond, music by Zachary Lucky, Sweet Alibi, Jadea Kelly, Amanda Lowe, Lynne Hanson, Julie Corrigan, Scenic Route to Alaska, Amelia Curran, Joseph Maviglia. 7:00 AM Oct. 10th, 2016 Trish Bolechowsky and Ka Charlton Graven joins us to play live in the studio at 8 am, an interview with Koo Koo Kanga Roo plus music from The Julian Taylor Band, Brett Winterford, JW Jones, Danny Michel, Hey Buster and of course Graven! 7:00 AM Apr. 4th, 2016 Trish and Ka Show #100 for Trish and Ka! Chat with Carolyn Cote - Arms of the Girl, Interview with the Honeyrunners, Brooke Thrasher joins us to talk about Tampons for Ted, Esmerine, Whitehorse, Arms of the Girl, Lost to the River and more! 7:00 AM Mar. 14th, 2016 Trish and Ka We speak with Lynne Hanson, Donovan Woods and Language Arts, who all have shows in Ottawa this week. 7:00 AM Sep. 21st, 2015 Trish and Ka Jack Pine, The John Punch Band, John Carroll, Jasper Bridge and more! 7:00 AM Aug. 31st, 2015 Trish and Ka Interview with Michael Grewal about Sunnyside Music School, Also Geneviève Bétournay about Studio LaMouche! 7:00 AM Aug. 10th, 2015 Trish and Ka Barnstorm! Barnstorm! 7:00 AM Jun. 22nd, 2015 Trish & Claude Munson Claude Munson joins me to co-host and play a few tunes, interview with Pokey Lafarge, music from Luke Nicholson, The Pick Brothers and Silver Creek plus some of Claude's favs. 8:00 AM May. 11th, 2015 Brendan McLoughlin Ashraf Zahran the news, election results. 7:00 AM Nov. 3rd, 2014 Trish and Ka Last Brew Funding Drive show!! 7:00 AM Oct. 27th, 2014 Trish and Ka Funding Drive show! 7:00 AM Sep. 8th, 2014 Trish and Ka Two Interviews: Bryce Jardine, In-Flight Safety plus more music! 7:00 AM Sep. 1st, 2014 Trish and Ka No Labour - All Fun! 7:00 AM Aug. 25th, 2014 Trish and Ka Its Monday Morning! 7:00 AM Aug. 4th, 2014 Ka Charlton A light Monday morning. 7:00 AM Jul. 21st, 2014 Trish Murray and Ka Charlton Split Yourself in Three for July 31st! 7:00 AM Jun. 23rd, 2014 Trish Murray and Ka Charlton Oh the weekends! 7:00 AM Apr. 21st, 2014 Radiyah Last Rhyme & Reason for the season! 7:00 AM Apr. 7th, 2014 Radiyah/ ApollotheChild Apollo and Radiyah pick songs for four themes: happy, grief, love, inspiration. He also performs live! 7:00 AM Dec. 30th, 2013 Matt Street & Paul Martin Resolutions - Interviews with Chris Cook from Centretown Records on recording music and with Brenden Myers on table top gamming. 7:00 AM Jul. 15th, 2013 Sean Happy Monday! 7:00 AM Jul. 1st, 2013 Sean and Mark Happy Canada Day! 7:00 AM May. 20th, 2013 Sean Happy Victoria Day! For some reason. 7:00 AM May. 7th, 2012 Dean Verger two interviews this morning, beginning with Missy Burgess about Chrysalis. In the second half hour, Dr Blair Rutherford about the Africa Initiative.